Along Center Street just off Loxahatchee Road, a small road gives path to the hidden waterfront neighborhood of Holly Cove. If you are looking for an affordable house in a waterfront community, this neighborhood is it. Holly Cove is a small community of only nine single family homes. Though houses were built in the early 1980s, most homes are already upgraded and renovated and most homes have their own private pool. Neighborhood amenities include sidewalks, private docks and boat access to the Loxahatchee River. 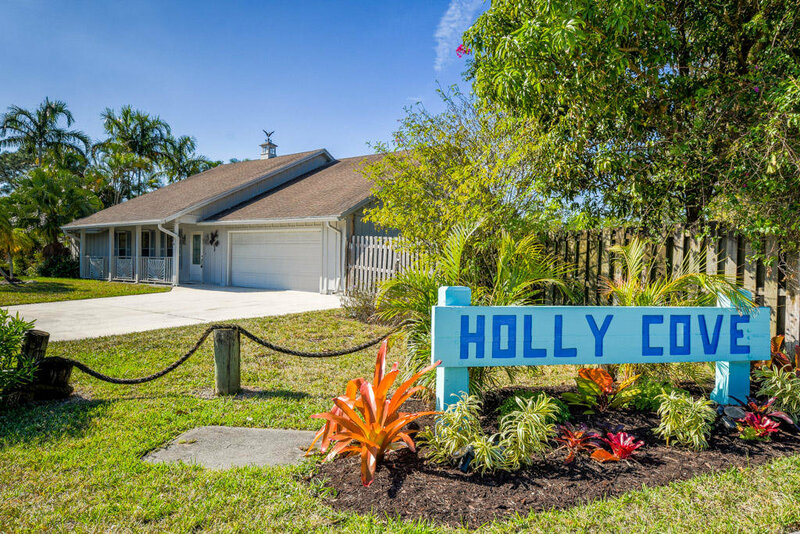 Shops, recreational areas, parks and restaurants are also within an arm’s reach for Holly Cove’s residents because it is conveniently located in the heart of Jupiter. The community is zoned for A rated schools.